deeternet® Wireless Sensor System LVCS-RF Continuous Level Sensor - Deeter Electronics Ltd. deeternet® Wireless Sensor System LVCS-RF Continuous Level Sensor - Deeter Electronics Ltd. 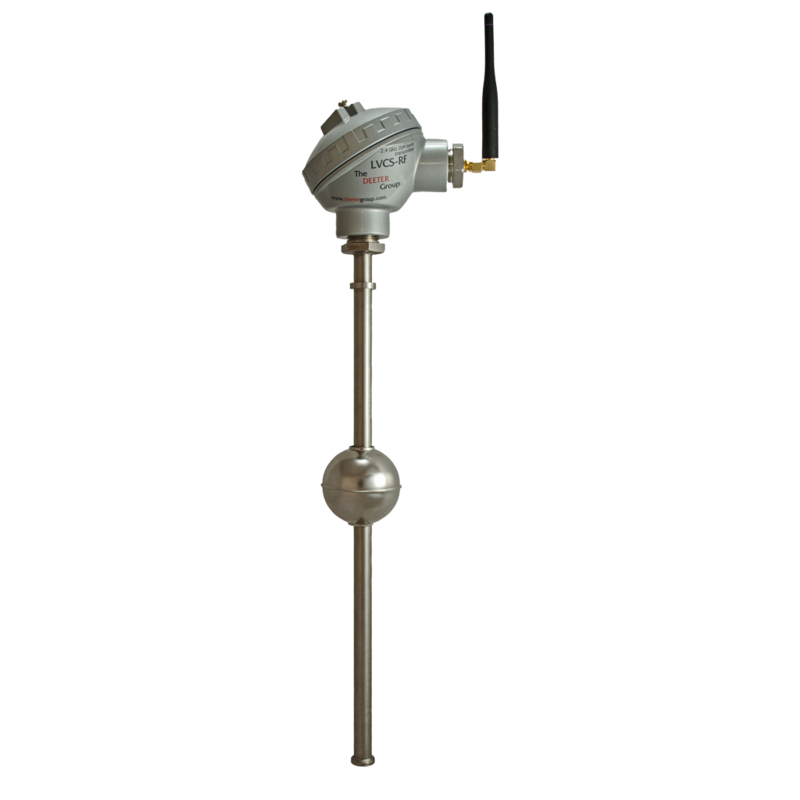 The deeternet® Wireless LVCS-RF Continuous Level Sensor is designed to measure a continuous liquid level and transmit this information by radio to a Deeter Wireless Base Station at regular intervals. The device is battery powered and wirelessly communicates in the 2.4GHz band using the internationally recognised IEEE802.15.4 protocol. The wireless range of the LVCS-RF can reach up to 1Km. A significant increase in the range can be achieved by using one or more Deeter Wireless Routers. The simplest measurement system comprises an LVCS-RF sensor communicating to a Deeter Base Station connected to a 4-20mA current loop indicator such as a Deeter Current Loop Indicator (DCLI). The LVCS-RF circuitry is housed in a die-cast Aluminium head with an external antenna. An optional 3m extension lead and bracket are available for mounting the antenna in a position more favourable to wireless communication. The sensor circuit is fitted inside a 316L stainless steel tube attached to the head, with a 55mm magnetic ball-float. Standard sensing lengths are 250mm, 500mm, 750mm and 1m. Custom lengths are available on request. The LVCS-RF is powered by a single 3.6V Lithium Thionyl Chloride battery. Battery life is typically 9 months (based on a transmission interval of 10 seconds and an uninterrupted wireless link to the base station).